After a long day of riding, we were both pretty beat. 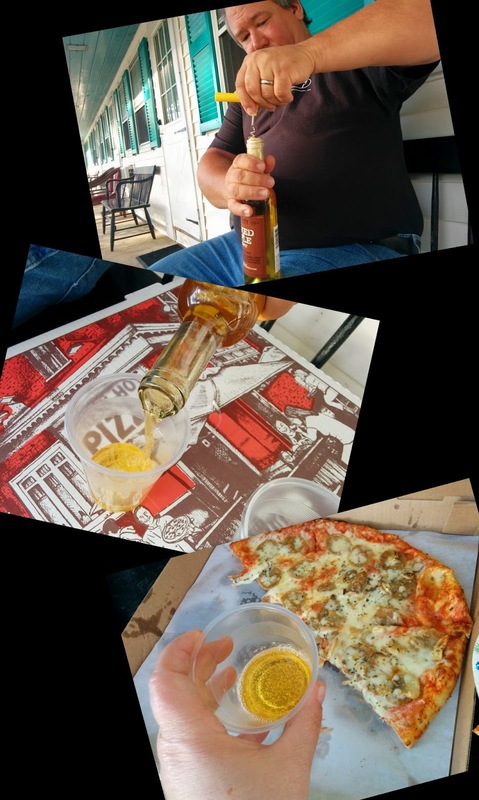 So, instead of going out to eat we decided to grab a hot pizza and something cold to drink from the Vista Country Store. We enjoyed them on the bench outside our room at the White Trellis Motel. The view was fabulous and the pizza delicious. 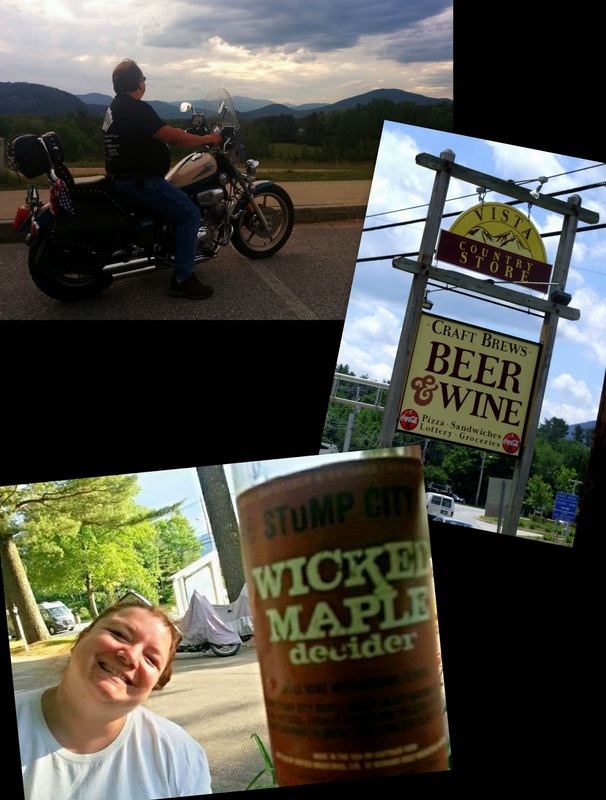 Both went well with the Stump City Wicked Maple deCider hard apple cider made by Gauthier Farms in nearby Rochester, NH. 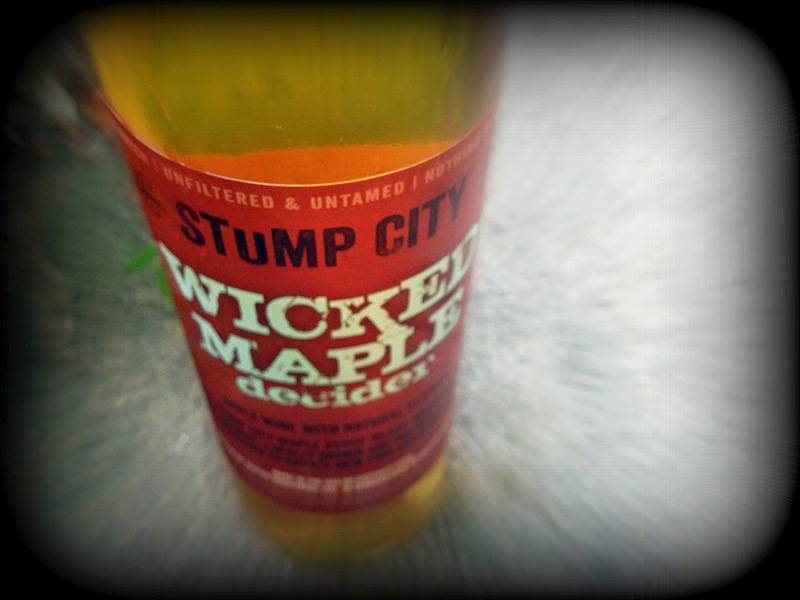 Wicked Maple deCider (?% ABV). It pours like clear liquid sunshine. 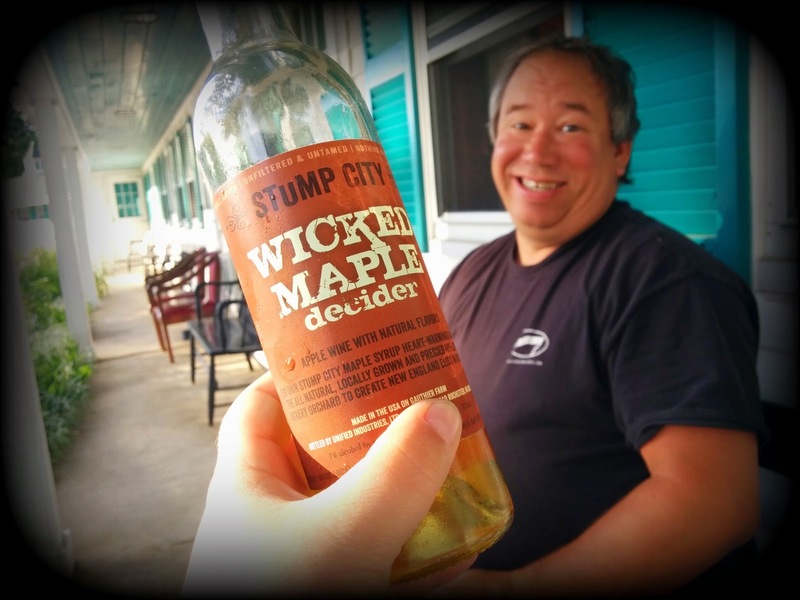 The smells just like fresh cut red delicious apples drizzled with rich maple syrup. The taste? Just like fresh cut red delicious apples drizzled with rich maple syrup. I've got nothing more to say. I've said it all. It was that good.